Your logo matters. Get it right! Andrew Boon posted 10th of April 2016 in Social Software. 33 comments. Your site logo is the first thing that people see; it's the look of your community site, and it is supposed to reflect what you do. And still, all too often we see Dolphin sites with either poorly integrated or poorly designed logos. I am not even talking about the choice of style or meaning. I am talking about image quality, integration with the site and clarity. And it's a shame! Some sites have so much potential and so much community drive that less-than-perfect logo is heartbreaking. Let's fix it. Spend some time on it and get it right. I'll give you some clues and if you need help - ask in comments. If you're on a monthly Boonex subscriptions plan, you're welcome to send us your logo to team@boonex.com. We will try to improve the image and will help to integrate it with your site properly. Now, let's go through some common mistakes and ideas on how to overcome them. Dolphin allows you to use plain text as a site logo, but this is meant to be a temporary plug. Something you may use on pre-launch stages, but not in the production site. Logo image is your company identity, forming the association with name and value proposition. For some people, text without a picture is nearly invisible. For most people plan-text logo will never sing down into long-term memory. So, don't wait! Go ahead and spend some time on your logo. It's a fun, creative and meaningful thing to do. Do it! Use a simple logo-making app like Logoist or order it from Fiverr (or some pro-designer like Logoholik, if you can afford it). Perhaps Minecraft and Pacman communities may be excused for using MS-Paint-chopped logos with pixelated borders, but your site just shouldn't. Eighties are well and truly over, and it's time to produce something with smooth edges. Again, you can do this with just about any modern editing app, like Sketch or Photoshop. If moving vector paths around is too tedious for you, ask someone from Fiverr to help you out. It won't break the bank. HDPI logo is a must. DolphinPro 7.3 (Scooter) supports @2/retina logo resolutions, so it is important to upload the double-sized image. If you fail to do so, your site will reveal the shortcoming to (almost) all iPhone/iPad/Android users as well as owners of latest Mac laptops and many new PC laptops. Some higher-end desktop owners will see it too. The catch is that all Dolphin elements are already HiDPI or vector. So, all the site elements look sharp on retina-screens. A standard-resolution logo will look blurry in contrast and will reveal the lack of oversight from the webmaster. Let it breathe and don't cut limbs. When cropping your image, allow some space around the logo, and make sure to keep all elements intact. Zoom it back if needed, but don't cut away that beautiful curve. The whole process of creating, uploading and adjusting your logo for Dolphin is a great first step in taking control over your site customization. Nobody can do everything perfectly from the first go. You'll learn how to do some preparation on your computer, how to login to admin panel, change settings, review changes on your site, go back and fix errors, review again and then perhaps announce it to your community to gain some feedback. To upload logo in DolphinPro, go to your site Admin panel and then to Settings > Basic Settings. Remember, a sleek and meaningful logo will make you feel good about your site. It will help your visitors remember your brand, and it will set the standard for further improvements. Get it right! 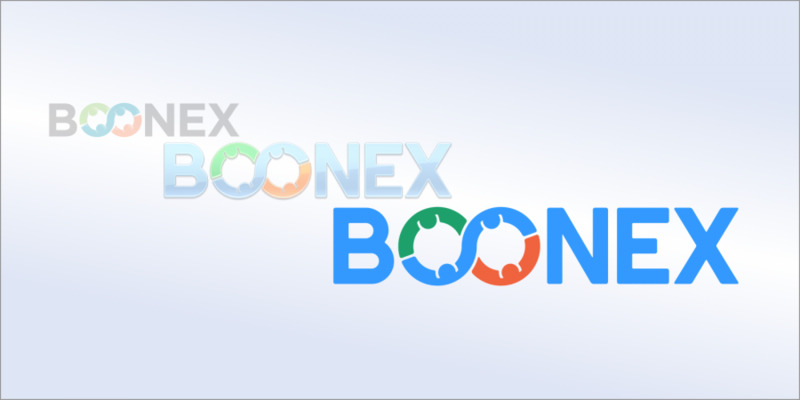 NOTE: If you're on a monthly Boonex subscriptions plan, you're welcome to send us your logo to team@boonex.com. We will try to improve the image and will help to integrate it with your site properly. cool .i don't actually have a logo .can you create one for me ? re: "For most people plan-text logo will never sing down into long-term memory." LOL!! You're working too many hours AB. Now I sing that typo is too cute to fix. ask, and you shall receive. Is this the silver dolphin item you mention? Not perfect. I had erased the psd files I created and was too lazy to recreate them so I used one of the png files in the initial send. added a whole new meaning to OOPs.. and finding them, despite automation was a trip. Definitely looks good. I like it without the globes personally but to cover up the "imperfections", the globes help. Very nice job. I think Boonex should considering adopting the images into their future branding structure. Doubt it... I was being an ol' clown when I saw the topic and responded. The imperfections in the "0"'s in bOOnEx? Look at them.. then picture people of all color holding hands through Dolphin .... ( and that from a Texas Red Neck ! Yeehaaaaaa). You should see if viewed with open eyes a social statement. Google online logo maker (or something similar) and research the top 10 to find one that allows you to fully test it, is very reasonably priced, and has at least a few icons that *you think* will nicely represent your business... then revise the default colors to match your site theme (or visa versa) and make your own logo. I helped a client through that process and the cost was about $30... and I think she ended up with a GREAT logo design... go for both her site and her business cards. In my see more opinion, it's better if the site owner creates their own logo, maybe with some suggestions, since it's important the design "feels right" to them. Good one. It's a great first challenge to ignite the spark of creativity. Too good to miss. See. An image logo is so much safer. No misspellings, no dramas. That was done purposely to "c"atch your attention. Only Logo matters? What about site appearance? Boonex Dolphin does not have even a SINGLE Template which can be said Good! Work on what is required. You are repeatedly ignoring your users need, one day you will loose them!! The template is only something to start with. The rest is down to you. We pay for the software; a little too much maybe, but that's another story! So you think all the people who use Dolphin will be knowing html and css? If they can develop it, they could have already developed a custom website and not be using Dolphin for such need. We pay for the software >> So template/appearance is not the part of the software? Then better to use Dolphin site via shell command! If people want to do anything with a website then they will need to get the hang of HTML and CSS or hire a designer. Playing with our own template tweaks has nothing to do with the back-end code, or engine that runs the ship (software). Just making an HTML website (which almost anyone can do) - and there's WYSIWYG (what you see is what you get) software for that too - is not the same as having a robust PHP database-driven community website, which not everyone can create. Hence we see more pay for people like Andrew to put the nuts and bolts in place and fine tune the cranky parts (if we're lucky). Some peope can't even align their blocks to look interesting. Do you expect all of that to be done for you too? Say what? Last I looked Dolphin was a tad more than html | html5 / css |css3. NO DEVELOPER I KNOW will give you more than the stock template ( and I have worked with many over the years ) contributors MAY give away template designs, but most sell their creations. There are FREE spaces online where one can learn html/css. Can also look over the stock templates make a copy of the one you like and improve on it by rote - trial and error. You will appreciate the item much more than one that might see more be handed too you. MY 2 CENTS: Not connected with Boon, BoonEx in any way, shape or form save hacking a free copy of Dolphin Pro to swim to my whims. So, if I insulted you, (not my intention) it was me, period. Bring it! Over 69 years on the planet - never ceasing to be amazed. Site appearance matters, too. This post is focusing on logos though. As for Dolphin default templates, they are highly customisable, but we are still working on an overhaul for all 3 of them. Right now we're experimenting with detailed style editor in Trident, and once it's tested, we will carry over the idea to DolphinPro. At least you see Dolphin sites. Where are the real ones? ► By the way, prefer the old 'dolphin' Dolphin Logos. Third one from left, blue with World Map. How does Dolphin support supports retina logo resolutions? Please provide details. Starting from 7.3 you can upload a double sized logo through Settings > Basic Settings in your Admin panel. When you upload logo using resizing - it created 2 images for normal screen resolution and for retina screens. Without resizing - no retina image is created. Also image must be at least double of the desired size. So i have to upload the logo in x2 size and then I have to select resize with the halved size, correct? The retina image works intermittently. I've tried uploading all shapes, sizes, and image types, using the resize feature, but I run into the same issue on my iPhone 6 and older iPad. Sometimes the higher res image loads, but other times only the lower res image loads then quickly goes to a text only square. Is this a know issue that you're working on? Or is there a file type, size, setting that will fix this? Also, only seems to be a problem on the home page. All other pages don't seem to have a problem loading the retina image.